Hello, it's my Monday post for my local stamp store, Buffalo Stamps and Stuff. 81/2x 5 1/2, score at 21/8 on either end, crease and fold in to form base card. I stamped the sentiment, from a Stampendous baby set of small sayings, to the Spellbinder's Fancy Tags Two die. Add adhesive to only the left half of the die and adhere it below the main image on the right side only. Now, when you open the card, it opens two ways, from the top and the bottom because of the way you adhere the image and the die cut. This is the card opened up. The paper is from Cosmo Cricket and the sentiment is from Savvy Stamps. oh so cute Sue! 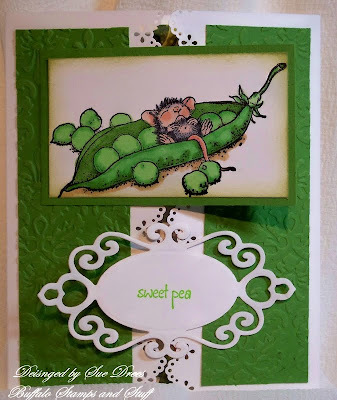 It is almost pea pod time here! 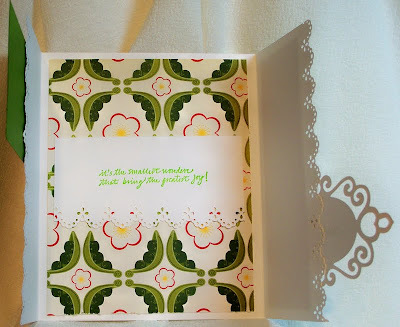 love the different shape off card and your lovely stamp. 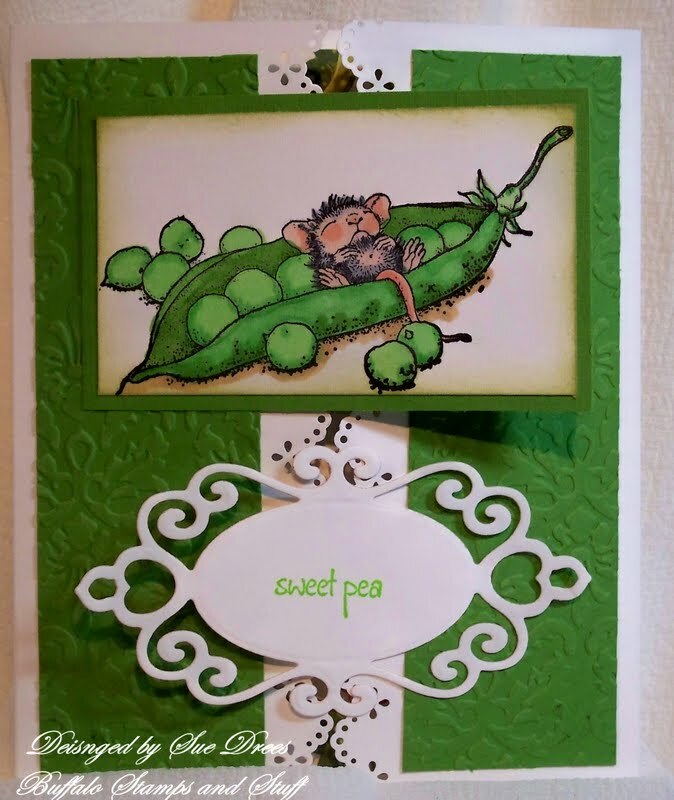 That sweet pea just tickles my belly. How cute is that. Your coloring skills are to be commended. This is just adorable. 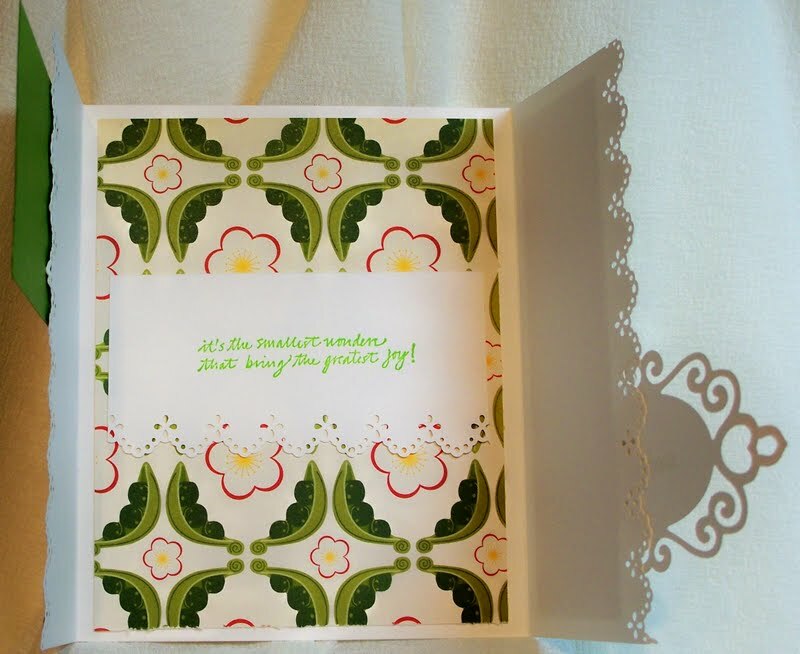 Way cute, I like gate fold cards too. Just got this HM in the mail yesterday and haven't inked it up yet. Darling card.